Archibald Thorburn (1860–1935) was a Scottish artist best known for his incredible watercolour illustrations of birds, often portrayed in mesmerising natural settings. Thorburn spent much of his childhood in Dalkeith and Edinburgh, learning to paint from his artist father, before later moving south of the border. Throughout his life, Thorburn continued to return to his native Scotland regularly, painting bonny portraits of animals in the striking Scottish countryside. Thorburn’s paintings of birds are incredibly popular, and such works have regularly realised six-figures when appearing at auction in the past. On Wednesday, a lovely example features at McTear’s, offered at lot 455 in the British & International Pictures auction. 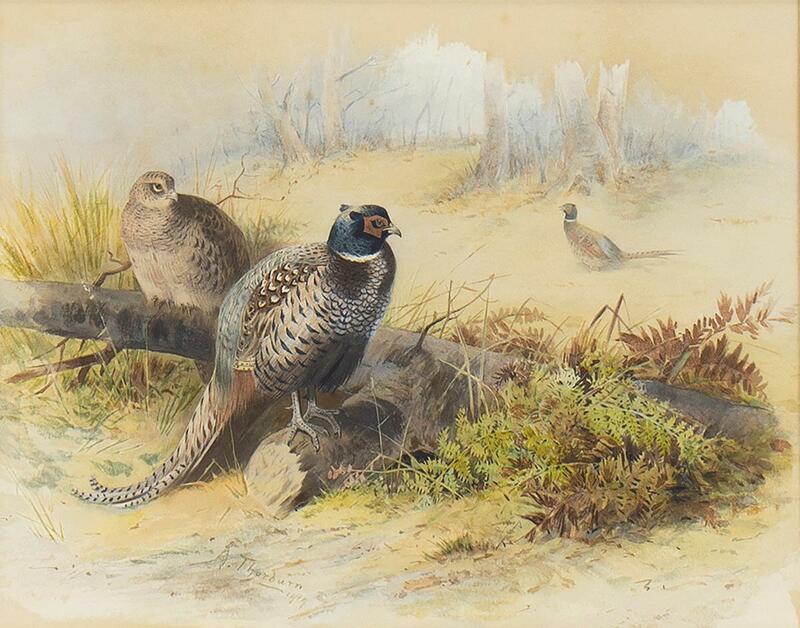 This attractive watercolour, ‘Pheasants Grazing’, perfectly fits the genre of Thorburn’s best-known works, depicting pheasants within a natural background with foliage and fauna. This piece has an auction estimate of £2,000- 4,000. 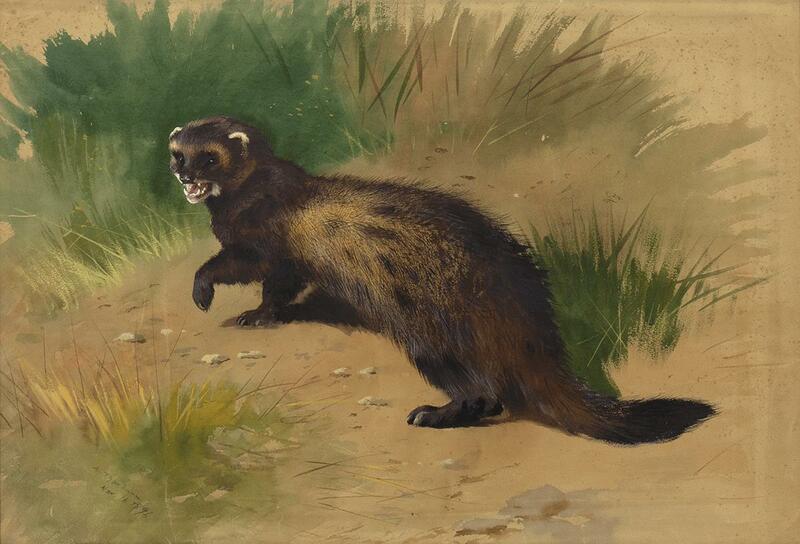 Lot 454 is another by Thorburn, this depicting a subject much less typical of the artist, a Scottish polecat. In a book first published in 1920, the artist describes the polecat as a ‘bold and aggressive creature’, going on to recount his recollection of his own family’s hostile encounter with one such animal! This handsome watercolour illustrates the playful polecat – now near extinct – with mouth open and paw raised, completed by Thorburn in 1896. This rare watercolour comes with an attractive auction estimate of £3,000 – 5,000. Do you have paintings to sell? Come along to the Valuation Days at McTear’s on Tuesday, Wednesday and Thursday this week for complimentary auction advice.